Not a few figures—writers, poets, activists, teachers—have focused on the presence of the Holy One in the ordinary, on the many possibilities of worldly spirituality. In this book, pastor, teacher, and theologian Michael Plekon introduces us to several persons of faith from both the Western and Eastern Church traditions to illumine God's presence in everyday living: the world as sacrament. In this discovery of liturgy and life entwined, Plekon shows how these lives, and our own lives, are texts about looking for and following God in everyday existence. Michael P. Plekon is emeritus professor of sociology and religion and culture at Baruch College of the City University of New York. He has served parishes while teaching, writing, and researching for thirty-five years. Earlier in life he was a Carmelite friar and served as a pastor in the Evangelical Lutheran Church in America. He is now a priest in the Orthodox Church in America in Wappingers Falls, New York, and married to a landscape artist and former IT professional, with two married adult children. "Written in a time of turbulence, as radical ideologies isolate people and the churches turn to sectarianism to seek refuge from the world, Michael Plekon pulls together diverse voices from West and East to remind us that some of the most profound contemporary Christian thinkers called on Christians to engage the world and discover the joy of the incarnate Christ in our very midst. Traditional, yet contemporary, The World as Sacrament is a must-read for those who continue the hard work of ecumenical dialogue and those who have prematurely pronounced ecumenism to be dead. Only a thinker whose personal journey offered him the privilege of living with Christians of many traditions and sharing their joys and sorrows would be capable of producing such a marvelous volume. Plekon's groundbreaking book suggests that the long winter of ecumenical spirituality may be turning to spring in the coming years." "The World as Sacrament bears witness to the truth of a Russian proverb, `The walls we build on earth do not reach to heaven.' Michael Plekon's life has provided him with a grand tour of Christianity, Catholic, Protestant, and Orthodox. In crossing borders, he has locked no doors. He retains a profound gratitude for what has been given to him at each stop along the way. 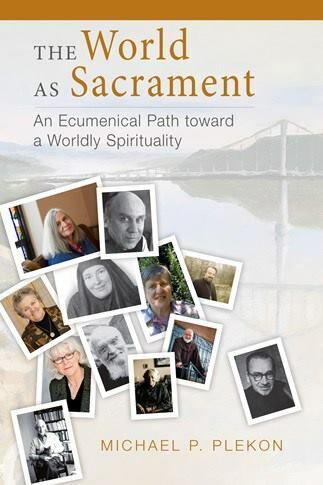 Among those lighting his path have been the remarkable people he writes about in these pages: Mother Maria Skobtsova, Dorothy Day, Elizabeth Behr-Sigel, Thomas Merton, Joan Chittister, Alexander Menn, and many others. All of them men and women with souls on fire who sought God in everyday experience; all of them a challenge to each of us. For all of Christianity's divisions, Plekon writes, `the one Christ remains in them all.'" "Plekon's commentary insightfully shows how the full range of human experiences are able to inform and transform a person's faith, as the kingdom of heaven is not something far and distant. This good volume will help people bring their faith to life by recognizing God's presence in worldly, everyday life experience." "With The World as Sacrament, Michael P. Plekon solidifies his reputation as a world-renowned spiritual guide. He leads us to the company of a cloud of Christian witnesses, women and men, of different Christian traditions, and hailing from diverse cultures and countries. I know of no richer treasure of spiritual insights than this book to feed our spiritual hunger from the lives and teachings of the saints—canonized or not—and to experience God's gracious presence in everything of the world." "To read Michael Plekon is to enter a world in which holiness is not an abstract concept but a characteristic of real, albeit pretty special, human beings. Some of the people profiled here are well known while others are future old friends, and The World as Sacrament tells us just enough about each to motivate further acquaintance. Plekon has been around the ecclesial block and brings a strong and refreshing ecumenical sensibility to his work. The result is a collection of heroes who invite each of us, in delightfully diverse ways, to move deeper into the God they knew deeply themselves. The organization into meaty but manageable chapters makes this an excellent book for individual or group reading." "This book's twelve chapters are like Facebook entries: each accompanied by a black‐and‐white photo and succinct summaries of the spiritual insights of a dozen different spiritual authors. This book provides ample food for meditation—both individual and communal—for people searching for God in their everyday experience." "Reading Michael Plekon's essays is like being told by a trusted mentor, `Come and meet some of my friends.' Warm, wise, and conversational, this book unveils the habit of holiness right in the thick of things. You'll come away richer for the experience." "In The World as Sacrament, Michael Plekon portrays thirteen women and men who embody well the essential Christian truth that even the most quotidian of moments is imbued with sacrament. In unique ways they experience, in Plekon's words, the `collision constantly occurring between God and the lives of ordinary people.' Without Plekon, these ordinary Christians of various backgrounds would not have otherwise been placed into conversation with each other. But, happily, their juxtaposition brings a vividness to the reality that the everyday is, by its very nature, ecumenical. Furthermore, these women and men remind the rest of us to experience the world as sacrament not only in the spectacular moments of life but also at the stoplights." "Michael Plekon's diverse and ecumenical company of spiritual teachers includes monks, priests, nuns, and lay people. But what they all have in common is a call to plumb the sacred depths of ordinary existence. We don't have to escape to a special `religious' place to find God. As Merton exclaimed, `The gate of heaven is everywhere!'"